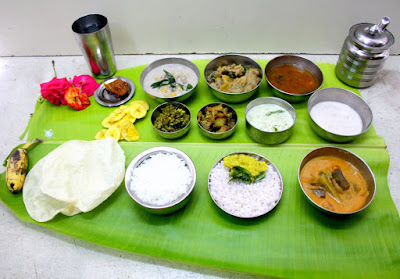 Today's recipe is part of the Kerala Onam Sadya Feast that I had prepared for Buffet On Table. All South Indian Thali or Banana leaf serving, makes it mandatory that Dal is first served on the rice with ghee. I adapted this recipe from Rajani, who prepared it with Moong dal and the omnipresent Coconut paste. Though this was not part of my menu, seeing how delicious it sounded, I had to make it. 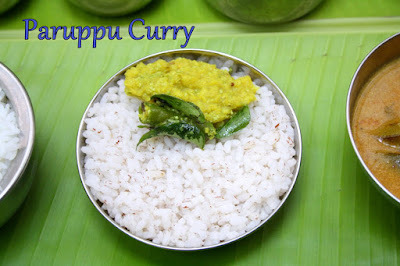 So here's another way of making a simple day, in Kerala style Paruppu Curry.